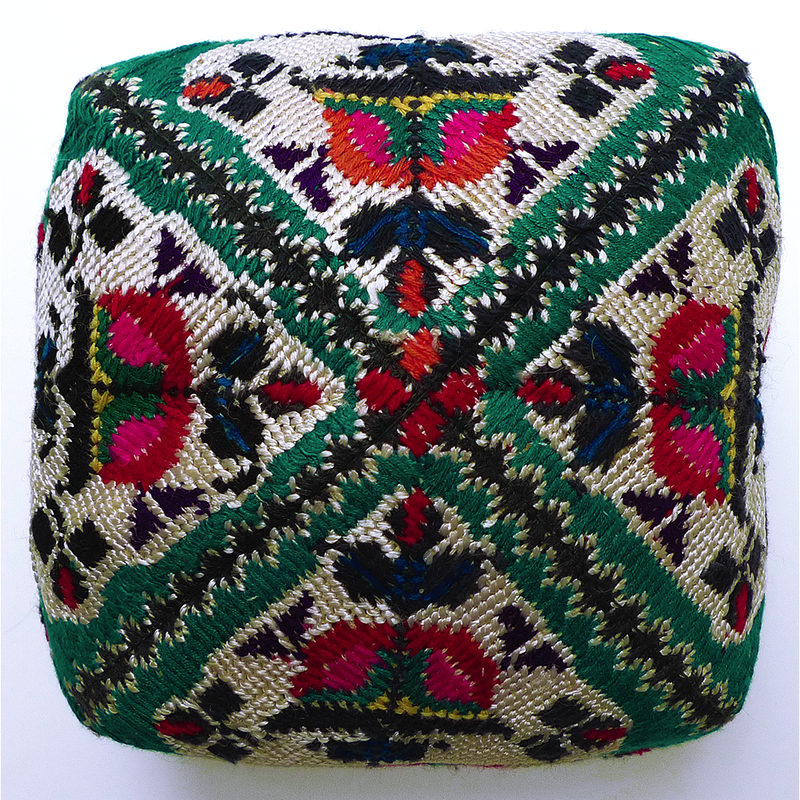 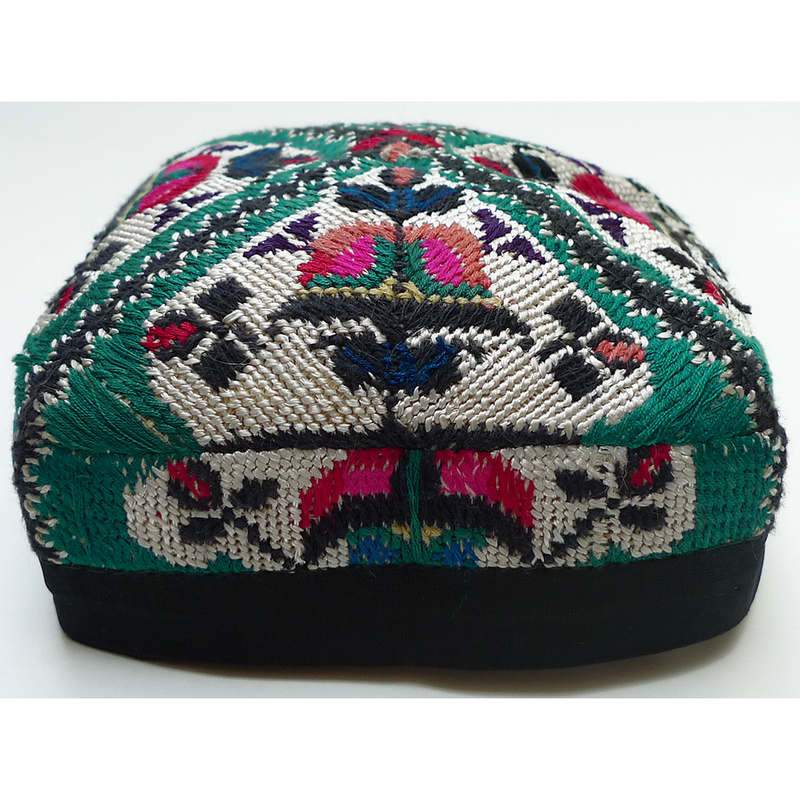 This hat is embroidered with a type of fine cross-stitch called “iroki”. 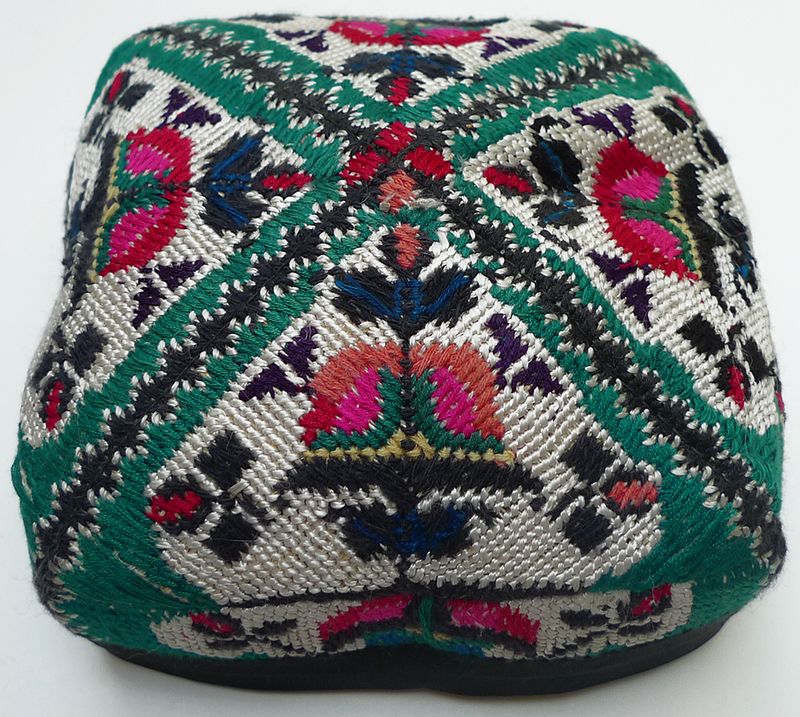 It resembles petit point in appearance and covers the entire surface of the hat. 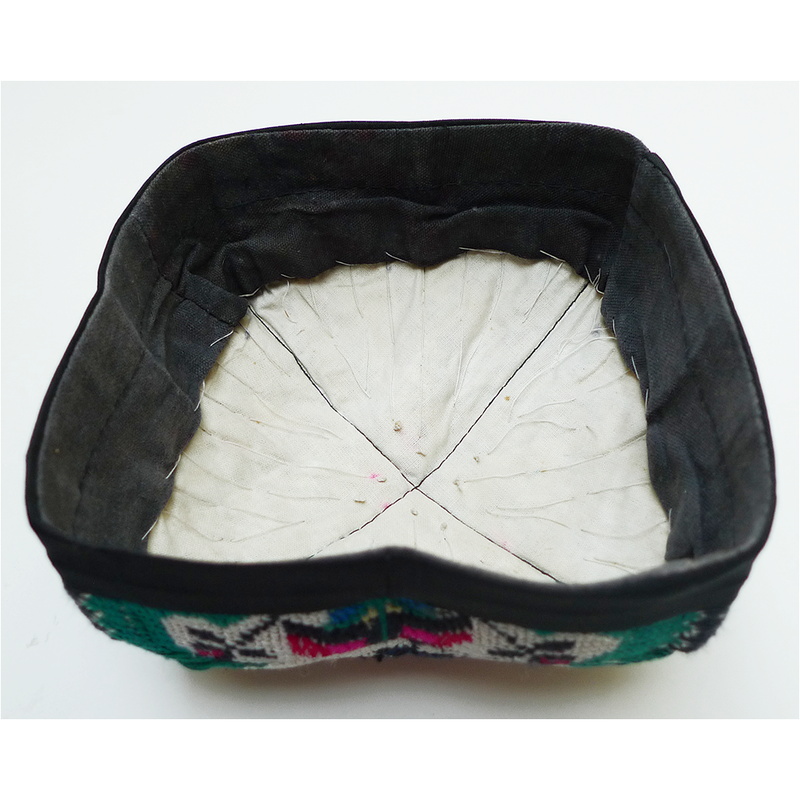 If you are interested in this hat and would like more information please contact Susan Meller.